A Skegness vet says he has been overwhelmed by public support after thieves broke into the practice leaving a trail of destruction. Keith Barrand, director of the Fenwold group of veterinary practices, was called to the surgery in Heath Road on Sunday morning to treat a poorly chihuahua and perform an emergency operation on another dog. He said: “Just before I arrived I got a call from the duty nurse to say the door had been smashed. “It was such a shock. The door is made of safety glass and was everywhere. 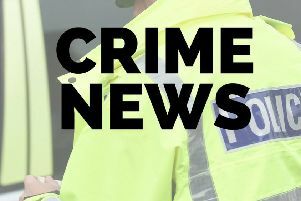 Mr Barrand posted pictures of the break-in on the Fenwold Veterinary Practice Facebook page because of the crime’s potential to disrupt the out-of-hours service. If you have any information to help with the investigation, call 101 quoting incident 213 of September 24th.